Music was an emotion she felt at her absolute core. It wasn’t to dance or get drunk to. Music was represented by love. The Big Rewind might be subtitled A Rock and Roll Mystery. Jett Bennett, a young woman in New York City who works as an office temp, receives a package intended for her friend and neighbor known as KitKat; the package contains a rock music mix tape. (That’s right, even though this story is set in the present day, KitKat was sent a Maxell C-90 cassette tape filled with music. “I’ve got a smartphone, but I’m not too young to remember the exact weight and feel of a Maxell mix tape. 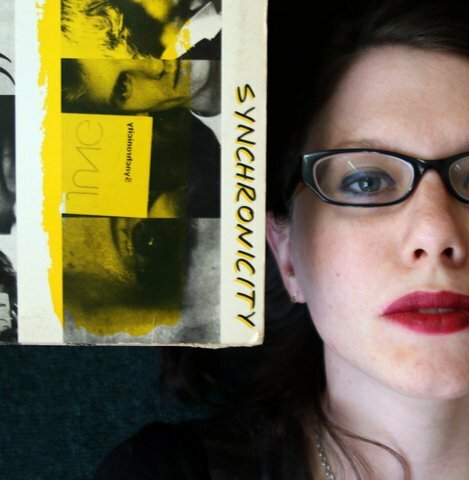 They’re just slightly heavier than a regular cassette, weighed down with love and angst, track lists thick with rubber cement and collage.”) When Jett goes to deliver the tape to KitKat she discovers that she’s been beaten to death. A young black man, a person who runs in the same city social circles as Jett, is arrested for the crime. 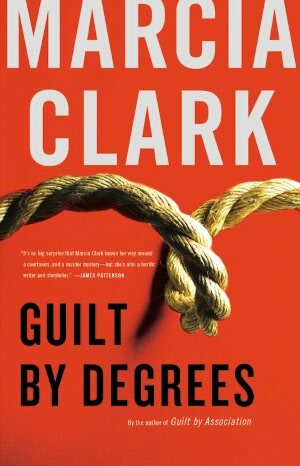 Jett feels instinctively that law enforcement has focused on the wrong subject, and she proceeds to do her best to find out who actually killed her friend. This may seem like an explanation of the storyline, but in fact the story is mostly about music. If you love listening to rock music, and you loved watching the film “High Fidelity,” the odds are that you will very much enjoy reading The Big Rewind. There isn’t a better feeling in the world… than acknowledgment that your mix tape was not only received and played but enjoyed. It’s a dance of sorts, balancing songs you think the listener will love while trying to say everything that otherwise dries up in your throat before you can get out the words. If I recall correctly, in “High Fidelity” the main character states, wisely, that mix tapes display more about the person who put them together than they do – or did – about the intended recipient. Make no mistake, Cudmore can write and write quite effortlessly. (The musician) Cassie wore burgundy Doc Martens with black tights and a flannel skirt; her dark-blond hair was crimped and pushed off to the side with a handful of clips. She was a relic of the last time music mattered, where a songwriter wasn’t some Swedish computer geek plotting song like math problems. Her silver nameplate bracelet and the necklace that matched were the only things about her that looked new and shiny. Everything else about her had the worn edges of a hard-won life. I thought about the music I had hoarded, my fear that if I heard the songs in the wrong place and time it might mean they no longer belonged to the moments I clung to. The reader can relax in the knowledge that Jett’s going to solve the crime, even if she and we don’t know exactly when that will happen. I put on Warren Zevon’s Sentimental Hygiene for background music and tried to put all the clues I had together, like assorted pieces from three different jigsaw puzzles. A secret boyfriend, a missing bracelet, a mix tape. I had the names, the locations, the pieces in play. I just didn’t know what order they went in to make the tiny paper Clue checklist that would lead me from her dead body on the kitchen floor to her killer standing convicted in the courtroom. (My boyfriend) put on Hall and Oates’ “You Make My Dreams,” and I laughed, singing along with the “hoo hoo” parts like the Oates that I was. 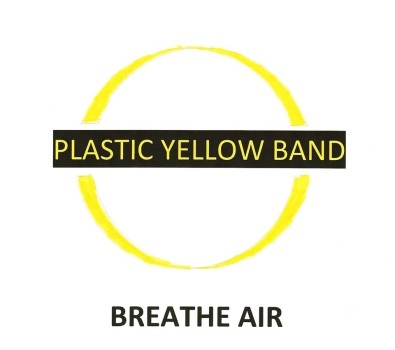 The name Plastic Yellow Band (PYB) practically screams “Beatles.” By the time one has listened to the first third of the album, Breathe Air, any remaining doubt is resolved. 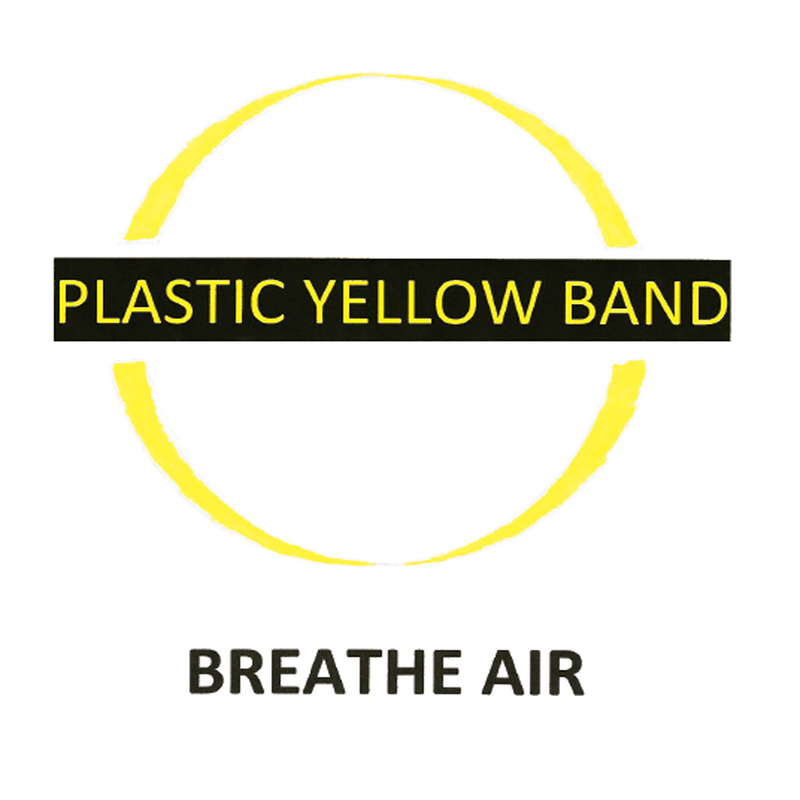 PYB’s founder, Gerry Jennings, admits to modeling the band after John Lennon and Yoko Ono’s Plastic Ono Band. 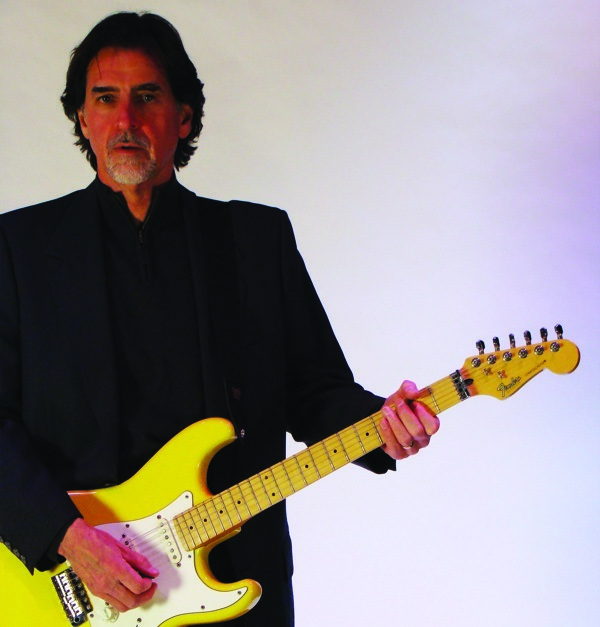 The album shifts gears a bit on “I Want to Feel Your Love” with Dana Rideout on lead vocals. “Love” has the countrified flavor of an Emilylou Harris song from the early ’70s. “She Let It Down” is simply filler, while “Oil Kings” initiates the political overtones that are found throughout the rest of the album. Interestingly, “Oil Kings” sounds similar to “Nervous Stuff.” “Alone (It’s Hard)” is a mid-’80s-style pop song that I didn’t care for much. It’s notable that the lead vocal mimics the Lennon/McCartney sound to an almost greater-than-acceptable (or necessary) level. The Pink Floyd theme continues and deepens as Breathe Air closes with a trilogy of instrumental tracks – “Sunlight I,” “Sunlight II,” and “Sunlight III.” “Sunlight II” includes the line, “Say hello to sunlight and breathe air.” I was reminded of both Dark Side of the Moon and Wish You Were Here while listening to these closing numbers. Unfortunately, the trilogy – while creative and perhaps a bit pretentious, if not bland – threatens to lose the listener’s interest. Dave Moyer is a public school administrator, a drummer, and the author of Life and Life Only: A Novel. Here’s a look at the songs on Everything Changes, now available for downloading on iTunes and elsewhere, as well as on CD. 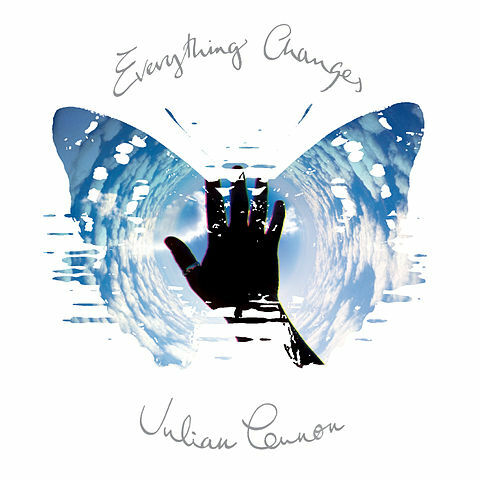 From the opening notes of the title song, “Everything Changes,” this sounds like a song from another Beatles-influenced musician; something that would prove to be true of other songs on this 14-track album. “Invisible” is Beatlesque: “Remember love forgotten… I know that love surrounds you/It’s invisible.” Had this been recorded by the Beatles, George Harrison would likely have sung it. “Always” is a surprise with its Pink Floyd instrumentation, while “Disconnected” could have fit on either Magcial Mystery Tour or Revolver: “Cradle life and love and let it flow.” “Never Let You Go” is another song in the style of Revolver. Those who download this album might be surprised to find that the two closing songs are listed as “Track 13” and “Track 14.” Not to spoil the surprise, but track 13 is “Don’t Wake Me Up,” on which Lennon sings in the style of Harry Nilsson. Track 14 is “Beautiful,” a very moving and heartfelt tribute to Julian’s father: “The feeling still remains/(Though) you’re on a different plane.” It’s a song of resolution and perhaps redemption. While Everything Changes falls short of being essential, it’s very close to being an excellent album and is well recommended. Lennon is the son of a late musical legend. He shines on in his own way. It’s not often that a musician releases his first full album at the age of 35, but that’s the case with James McCartney. James is not related to the pop rocker Jesse McCartney, but his father once wrote a catchy tune called “When I’m Sixty-Four.” It’s said that the senior McCartney also wrote a few other songs that have been played on the radio. “Strong As You” – “It’s hard for me to say how happy I am / Happy man….” On this single from the album, James sounds like Julian Lennon and the lead guitar part that he plays will remind some of George Harrison. Badfinger also comes to mind. “Butterfly” – “Little bird you don’t quite understand / Everything is lying in the sand….” Here James sounds more like John Lennon, especially in the phrasing, than Julian. It’s a song that might have fit on the Imagine album and there’s a trace of Dave Mason’s “Sad and Deep As You” in the melody. “You And Me Individually” – “You and me are different / You and me were different individually….” It’s acoustic guitar opening is reminiscent of “Blackbird” from The Beatles White Album and reflects the fact that James and his father reacted in different ways to the death of Linda McCartney. The lighter than air quality of the song shows that James may have listened to Harry Nilsson’s sui generis compositions. “Snap Out of It” – “You know that I’m not here / The candle’s burning at both ends… And I know that I can make it / And I think that I can take it / I’m not going to fake it anymore….” This is a song that’s very much in the style of George Harrison, who often mixed fear and self-doubt with grit in his compositions. “Bluebell” – “Something pulls me close to you / Like a moth to a flame like a music box / Unwinding rewinding / I’m on my own / I’ve got to go on but I can’t go on forever….” This melodic piece sounds like a cross between two of John Lennon’s songs, “Across the Universe” and “Beautiful Boy.” It’s nicely done although the slow pace of the music to this point begins to feel plodding. A change is on its way. “Life’s A Pill” – “…now I’m bleeding still / I know the pain will leave / When troubles disappear… Life’s a pill give it to me now.” Now the rocking begins. “Pill” sounds like a merger of “Things We Said Today,” “Running On Empty,” and “Peaceful Easy Feeling” and it’s just a warm-up for the next track. “Home” – “I kind of heard it on the radio / Oh my god what am I to do….” James and his musicians kick out the jams on a song that’s a melding of Wings’ “Helen Wheels,” “Magneto and Titanium Man,” and Styx’s “Mr. Roboto.” The drummer kicks, punches and violently pounds on the drum kit until it’s destroyed. Yes, some serious behind is kicked! “Thinking About Rock & Roll” – “Walking around Disneyland / It’s so pretty me and Mickey the Mouse / And he turns and says / It’s so fine and it’s going to be mine / Life’s so fine and it’s already mine.” This is the “Silly Love Songs”-style track on the album. It’s a song about celebrating life and living and appreciating what one already has (rather than what one wants and desires). A bit silly, but fun. “Wisteria” – “Baby if you know what love is for / Let me know what it means to you….” This one’s like a track from Matthew Sweet’s Girlfriend album. It’s pure energy. Wisteria is apparently a woman’s name, although it might refer to Wisteria Lane. “Mexico” – “Moving down to Mexico where the women treat you right / Moving down to Mexico where no one gives a shite….” A celebration of the joys of living in Mexico; it’s no threat to James Taylor’s song of the same name and theme. “Snow” – “Nighttime falls on Manhattan city / New York like white snow / I’m on the fence for you / I’m in the zone glancing at you / Dancing with you for the very first time / Dance for the first time….” James channels John Lennon in a stunningly beautiful piano-based composition about love and winter in New York City. It’s like a lost love song written for Yoko Ono. “Virginia” – “…my baby’s gone and left me… She left me at the station / And I don’t give a toss….” This is a non-essential bonus track that displays the McCartneys’ wry sense of humor. It would have fit well on the Wings Wild Life album. 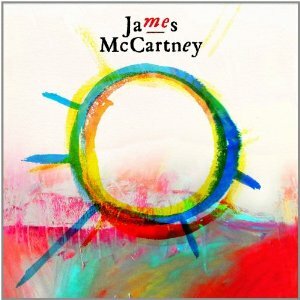 Me is definitely a good album, but the question is where does James McCartney go from here? 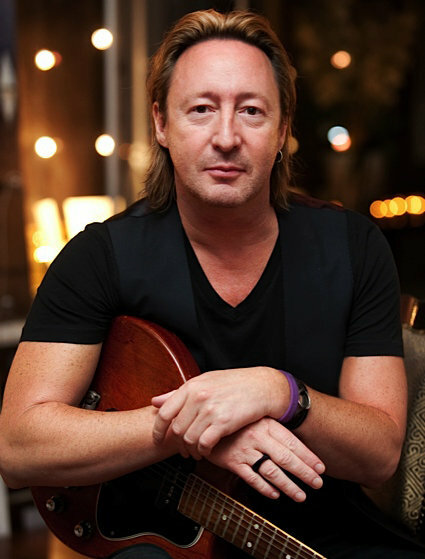 He is so clearly fascinated with the Lennon sound that it might make sense for him to join with 50-year-old Julian Lennon to jointly write and record a collection of songs together. What would they call such an album? That’s easy, Lennon & McCartney. A review CD was provided by ECR Music Group. 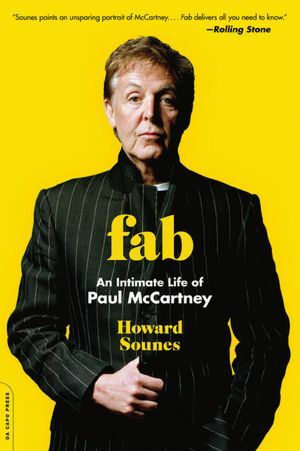 In Fab, biographer Howard Sounes achieved his self-stated goal of creating “a better balanced, more detailed and more comprehensive life of Paul McCartney than has previously been achieved.” It surpasses the earlier-recommended Paul McCartney: A Life by Peter Ames Carlin, and provides details that are not found in any of the band bios of The Beatles. For example, want to know why Paul began wearing a moustache in the 1970s? (Something the other members of the band quickly copied.) The answer is found within the pages of Fab. Want to know why George Martin admitted that he “made the biggest mistake of my professional career” when it came to compiling the songs for the Sgt. Pepper album? A highly illustrative example of Sounes’s thoroughness is when he explains the many surprising similarities between Linda Eastman McCartney and Yoko Ono. The “two strong women” both grew up as girls in Scarsdale, New York; and each of them had a very successful, domineering father. Both attended and withdrew from Sarah Lawrence College. Both became involved, as young women, in the New York City art scene and both had an initial unsuccessful marriage that produced a daughter. Linda and Yoko were to each make “a beeline for the The Beatles,” and they each achieved their goal of marrying one of the best known men on the planet. Sounes even throws in the fact that when John Lennon had a tiff with Yoko in 1973, and left her in Manhattan for a fling in Los Angeles with their assistant May Pang, he was seeing a childhood friend of Linda’s! Most every other writer who touches the story of the Beatles will tell you that Linda and Yoko were very different women. Kudos to Sounes for arguing that the exact opposite is true… Another strength of this account is that Sounes does not give short shrift to McCartney’s time with Wings. Fab devotes just as many pages covering Paul’s time with Wings, and their tours, as he does to McCartney’s time as a member of the Fab Four. This is quite fitting as Sounes notes that during the years 1989 through 1991, Paul and Wings played live before 2.8 million people – including this reviewer and Sounes. Sounes’s weakness is when it comes to Paul’s music. He makes some huge mistakes, as when he critiques the song Let Me Roll It for sounding too much like John Lennon. Wrong, it was Paul’s intent to show how “easy” it was for him to write and perform a song that sounded like John and the often-ragged Plastic Ono Band. And he criticizes Magneto and Titanium Man from Venus and Mars as being “virtually unlistenable” – it’s still a very fresh sounding track – while ignoring the brooding classic Letting Go, where Paul compared Linda to wine and cocaine. Speaking of shoulders, Sounes includes several interesting tales about Paul’s songwriting experiences, including one about how when Paul was finishing the song Hey, Jude he was determined to excise the line that reads, “The movement you need is on your shoulders.” It was John Lennon who convinced him to leave the line in, and John who realized that the throw-away line was brilliant (many heard it as Paul’s way of encouraging John’s son Julian to use his brain as a means of taking a hard life – a sad song – and making it better). The Sir Paul McCartney portrayed within the pages of Fab has not led a perfect life, but then no human being does. He is shown to be a sentimental creature (“Obviously one of my feelings is how proud my mum and dad would have been… But I won’t go into that because I’ll start crying.”), sometimes harsh, but often generous with those in need. His career, without a doubt, has been a fine gift to the world of music and the world in general. This intimate biography is a model for future rock biographers. Highly recommended. A review copy was provided by the publisher. “Fab delivers all you need to know.” Rolling Stone magazine “A McCartney bio that intrigues all the way through.” The Times of London/U.K. Howard Sounes also wrote Down the Highway: The Life of Bob Dylan.